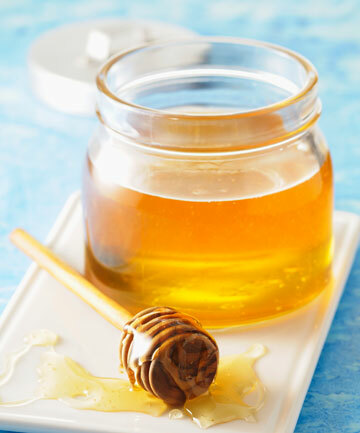 Myth: You should take a teaspoon of honey to treat seasonal allergies. Truth: You should take allergy medicine. Ever have your grandmother shove a lick of honey in your direction in the middle of a sneeze-fest? Though her intentions were, ahem, sweet, Daniel Slaughter, MD, of Sinus & Snoring Specialists says it's not a solid way to rid of your ailments. "People have the idea that raw honey contains all of the spring pollens and therefore a dose a day orally will teach the body to make blocking antibodies," he explains. The advice is actually contrary, he notes, since studies have shown this is not effective because the honey mainly contains flower pollen which isn't allergenic. Instead? Opt for an over-the-counter allergy medicine that has potent ingredients that fight your symptoms. SEE NEXT PAGE: Myth: Allergy drops don't work as well as allergy shots.